March into National Reading Month! EZRA JACK KEATS FOUNDATION MINI-GRANTS -- March 31 Deadline! The Ezra Jack Keats Foundation will award approximately 60 grants of up to $500 each to teachers and librarians at public schools and libraries across the country to fund "innovative and inspiring" programs that foster children’s love of reading and creative expression. The deadline for submissions is March 31, 2017. This could be YOU! Learn more about the program, current and past winners, and how to apply here! Ezra Jack Keats won the 1963 Caldecott medal for his book A Snowy Day. 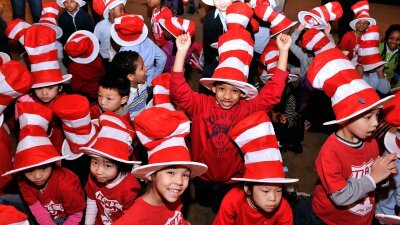 MARCH 2 -- DR. SEUSS'S BIRTHDAY -- READ ACROSS AMERICA DAY! 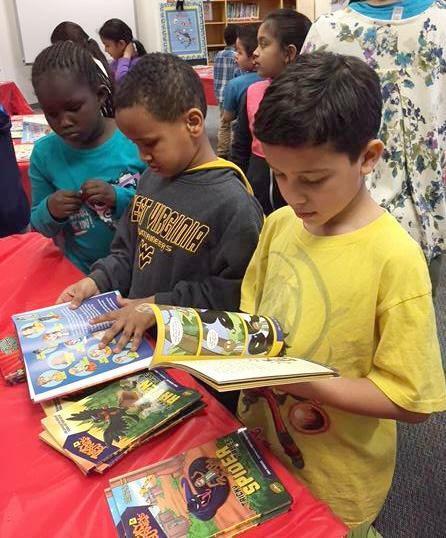 DESERVING KIDS PICKED RIF OF NOVA BOOKS DURING AREA SCHOOL CELEBRATIONS! Read on! 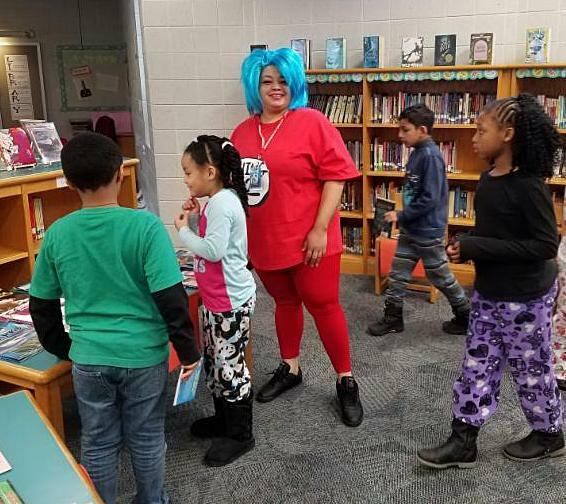 ...celebrated Dr. Seuss’s birthday -- Read Across America Day -- with a whole week of activities, including visits to the Woodrow Wilson public library next door, guest readers, spirit days based on different Dr. Seuss stories, and after-school stories and games. By all accounts, it was a blast! 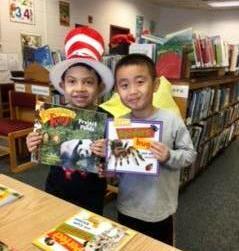 Two Bailey's students proudly show off their new RIF books! Best buds read books together! 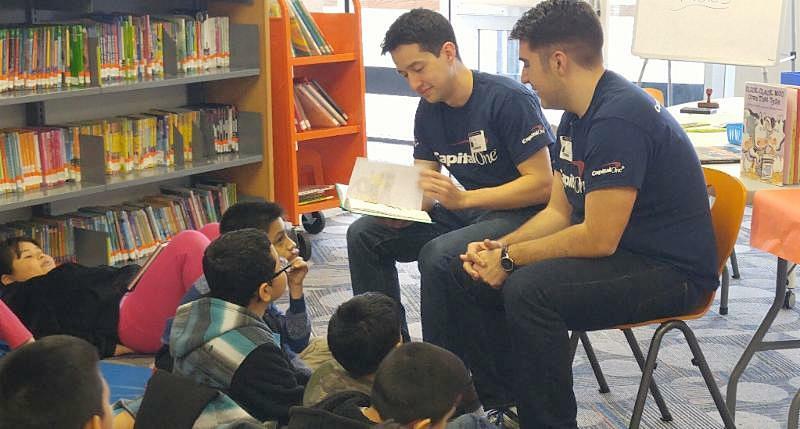 Volunteers from Capital One -- a RIF of NOVA supporter -- read to students at the Bailey's upper campus. More photos from the Bailey's book celebration are featured on the RIF of NOVA website: rifnova.org. Check it out! ...dedicated an entire week to Dr. Seuss. On Monday, "share a book day," teachers and students shared their favorite Dr. Seuss books. Tuesday was Fox in Socks day with mismatched socks, of course! Wednesday was The Cat in the Hat day featuring red, white, and crazy hats. On Thursday, Read Across America Day, third graders read with first graders, fourth with second, and fifth graders with kindergartners. In honor of Dr. Seuss's Sleep Book, Friday featured pajamas for all! 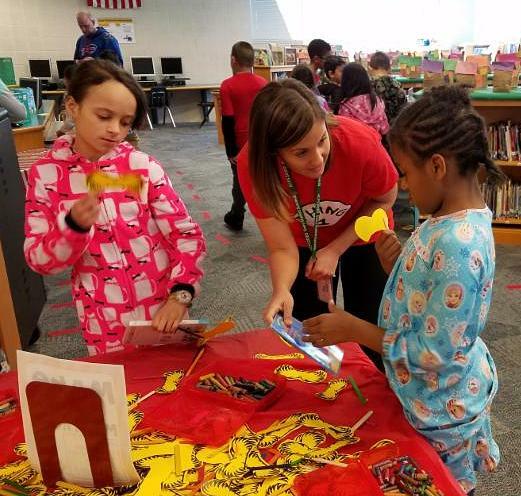 Patrick Henry media specialist Kelsey Frey helps PJ-clad students find a suitable mustache to celebrate the Dr. Seuss book The Lorax. Patrick Henry library media assistant Dana Sterling dresses as Thing 2. Check out that blue hair! Meanwhile, the children start to gather around the RIF of NOVA book table! "The Jolly Eagle pirate ship is sinking and we can only save 1 book to read to our crew while awaiting rescue on a deserted island…which book should we take?" Students were directed to decorate their doors to represent their chosen book. "Creativity counts!! Or ye will be walkin’ the plank!" said the rules! "Each capt’n and crew must create a piece of authentic writing stating the reasons why their book should be saved." The winning cap'n and crew were treated to a treasure chest of "pirate booty." Now how fun is that!!! YO HO HO...A Writer's Life for Me! 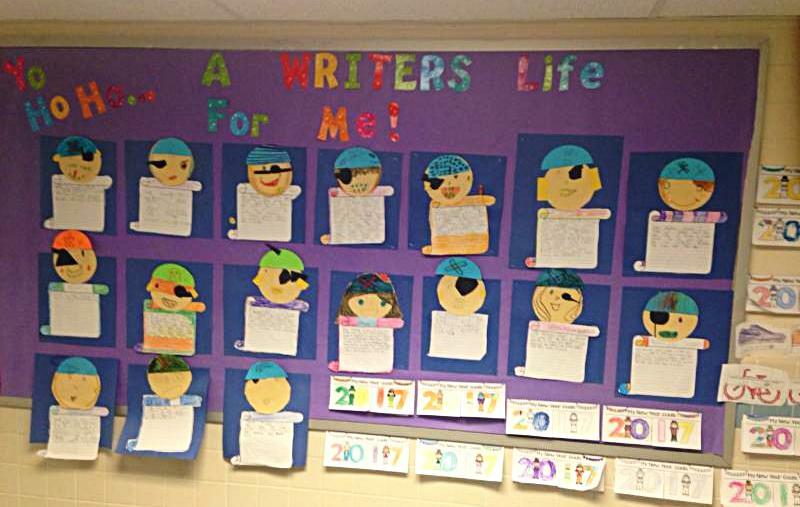 This Sinclair bulletin board was full of pirate pleas to "save" a book. Aaargh, matey! What fun was created by "Reading Capt'ns" GIna Centamore, Rachel Wilson, and Kelli Williams, Sinclair's reading team. 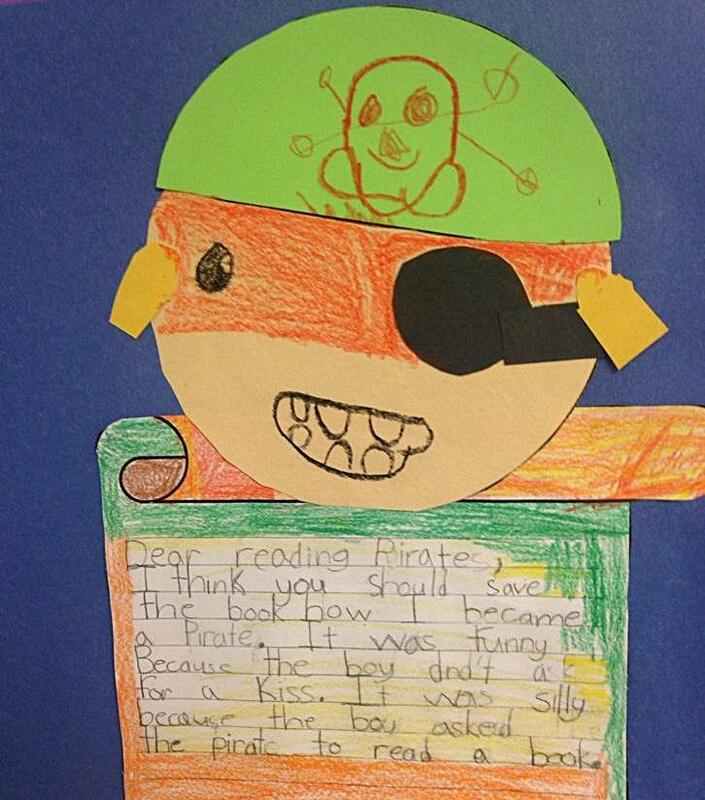 "Dear Reading Pirate," said this appeal. "Thank you. (You) Should save the book How I Became a Pirate because the boy didn't ask for a kiss. It was silly because the boy asked the pirate to read a book." 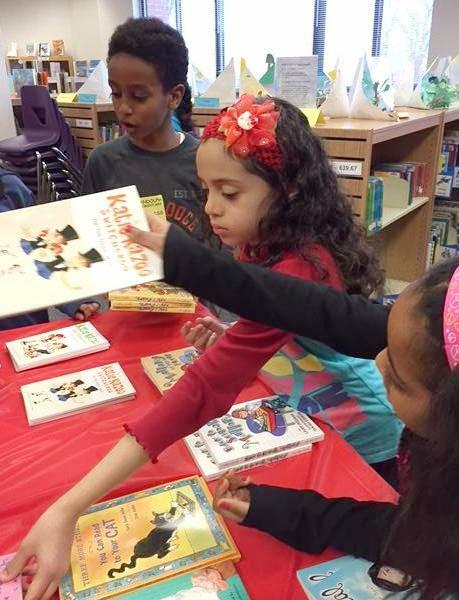 ...offered a full panoply of books for all grades during its Read Across America "Dr. Seuss Day" book distribution. Guest readers visited every classroom! Second graders, shown below, were able to look for and select the perfect book. Hmmmm. So many choices! So much fun! More Read Across America and Dr. Seuss celebration photos will be featured in the April RIF RAP! Additional photographs from March celebrations can be found on the RIF of NOVA website: rifnova.org. ...actor, director, author, and lifelong children's literacy advocate LeVar Burton! At a February 28 national RIF event in Washington, DC, Burton was honored for his passionate and ongoing support of reading for children. "Books have always been a critical part my life," he told those gathered at DAR's O'Byrne Gallery. He lauds his single mother, English teacher Erma Gene, for instilling the value of reading. "You either read...or else!" he said. "If you read, you can be a lifelong learner, making you a free human being. All of this work in literacy is in honor of my mom." To learn more about Burton's love of reading, click this link! Burton has put his reading passion to work. 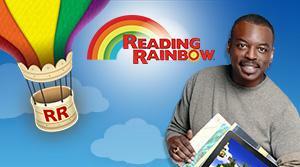 Not only did he produce and host the PBS program "Reading Rainbow" for 26 years, he has now created an app to encourage children to read. “We’re not on television, but we’re still connecting with emerging readers. Now we’re doing it in the digital realm.” he writes. 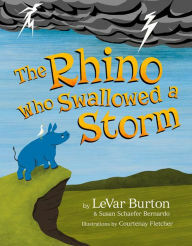 Plus, he's co-authored a children's book, The Rhino who Swallowed a Storm, a powerful story that helps kids cope with difficult moments in everyday life. 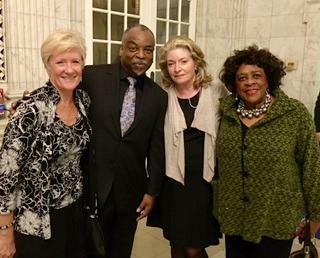 LeVar Burton poses during the RIF Championing Children's Literacy event with RIF of NOVA board members (l-r) Lisa Keathley, Glenna Orr, and Hazeline Harris. 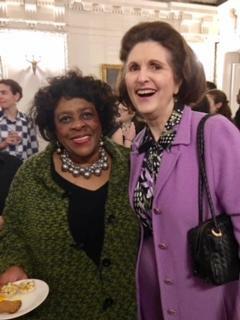 Lynda Robb, former Virginia First Lady, is a stalwart supporter of RIF and RIF of NOVA. She and Hazeline Harris share a lovely moment together. 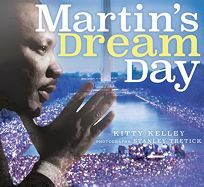 ...bestselling author and journalist Kitty Kelley for her new children's book Martin's Dream Day. In this new work, Kelley guides young readers up to and through Martin Luther King's 1963 "I Have a Dream" speech, using photographs by the late Stanley Tretick to tell the story. The book brings that historic day vividly to life for a new generation. Kitty Kelley is donating proceeds from this book to Reading is Fundamental -- what a wonderful gift! Thank you, Kitty Kelley!